"How do you keep the kids outside and active when it's so hot outside?" 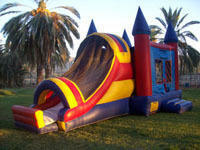 *PARTY HINT - Save money: Rent a Water Slide Package for the best value!! before your favorite silde is booked up! 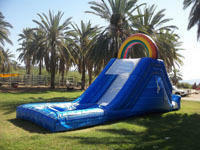 Are you looking for a Water Slide this weekend? We still have some left. Hurry before they're gone! 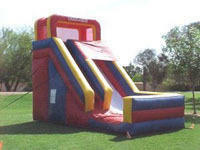 "Last Minute Bounce House Deals"
Look at our "Tucson Party Packages"
Its monsoon season so its HOT outside! 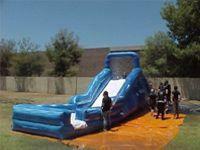 This is a great time to enjoy a Water Slide to cool off. Everywhere else in the country people may be struggling with cold or rain and humidity but while summer is here, we usually get to enjoy some of the best weather going. 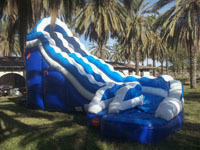 Birthday Parties are a great excuse for Water Slides. 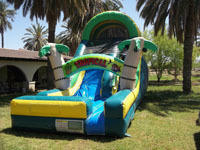 Labor Day, Water Day, Back to School Party? How about a Family Stay-Cation? Those are perfect reasons to rent a water slide too! 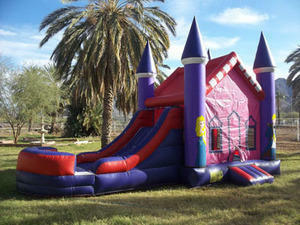 Spend as little as $149 for the best party ever! Get ready to have the coolest party in the neighborhood. 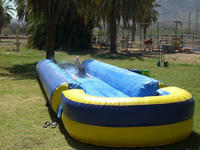 Create your very own Water Park in your own backyard. 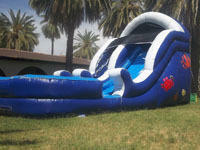 All of our waterslide rentals are on sale now. 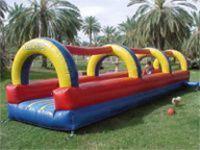 We have fun for any size budget! Do you want to save even more? Become a Member our Birthday Club and we will keep you informed of specials and discounts you can't find anywhere else. Don’t Wait, or You’ll Be Late! Take the Ice Bucket Challenge! Join our Birthday Club and receive special member discounts! Membership in the Birthday Club is always free and there is no minimum membership commitment, you may cancel at any time. 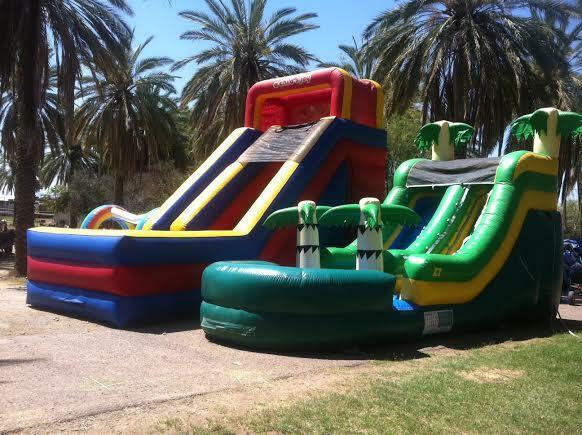 Shannon P. 03/05/15 I was happy to find that you had the Teenage Mutant Ninja Turtle bounce house that my 6 year-old really wanted for his birthday party. Also, the gentleman who came to set up the bounce house was very friendly, professional, and made sure I knew what to do in case of an emergency. Donna B. 02/26/15 The party was for my granddaughter who turned 4, she loved the pony. It was wonderful. 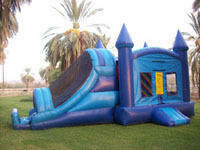 Also your staff was very professional and nice, good with the kids and watched out for their safety. If I had the money I would do it again. Thank you for making this big day a special one, and thank you for the great customer service. 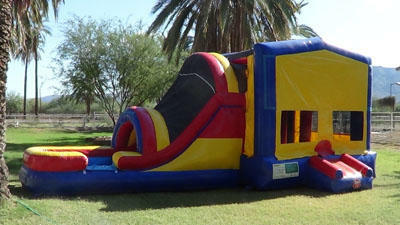 If you are trying to book for a party you are having today please call Laurie at 602-820-8030. We do offer same day dispatch and would love to help you out if you have a last minute need. Note: Our reservation system will not accept today's date online. 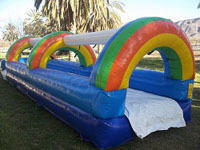 Call us direct to make arrangements for same day delivery. **We are currently upgrading the Reservation System and it is possible you may encounter some issues.